A McDonald's outlet in Mexico is very angry. Someone put the head of a mouse in their hamburger - which was then served to a customer. The disgusted customer filed a complaint against the McDonald's. As expected, the authorities temporarily shut down the branch of the popular fast food joint located in Tlalnepantla, north of Mexico City. This McDonald's branch has vowed to find and sue the person behind this "serious attack against the (restaurant's) image." And how do they plan on doing this? As they announced via social media, the branch authorities will be hiring the "best investigation firm" to identify the person responsible. Commission for Protection Against Sanitary Risk (Cofepris) has confirmed that the mouse's head was not cooked with the hamburger, says an Independent report. 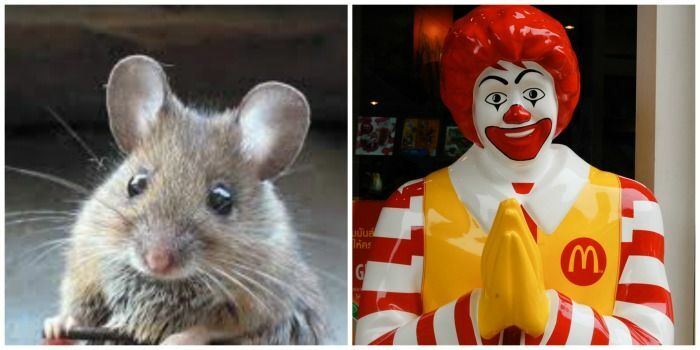 Another investigation is in progress to figure out if the mouse head featuring burger was indeed bought from this branch of the McDonald's restaurant.